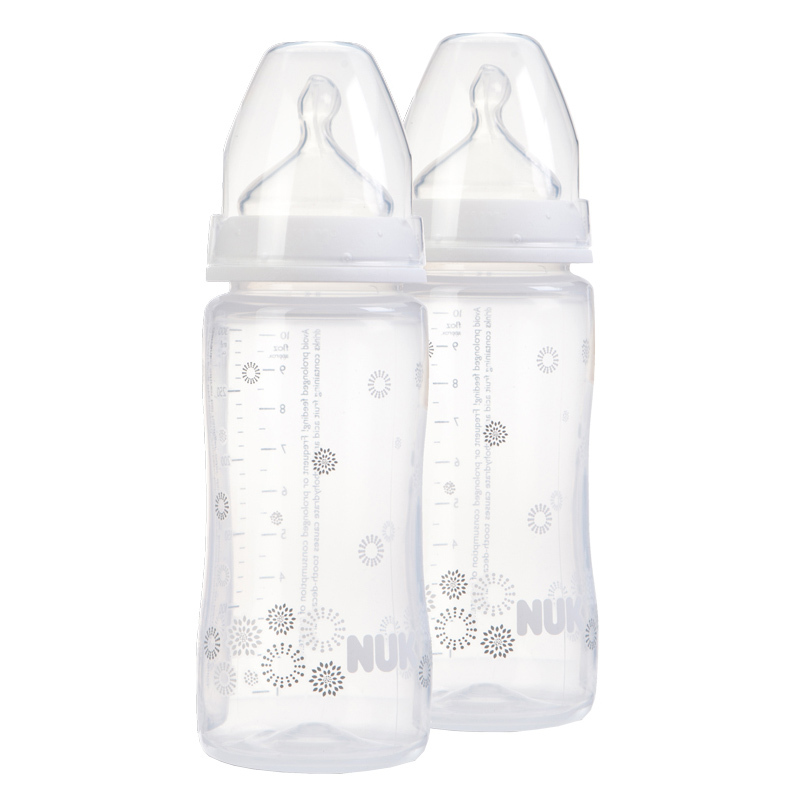 NUK First Choice+ Baby Bottles are clinically proven for optimal combination of breast and bottle feeding. 2 x 300ml bottles fitted with a First Choice+ Size 1 (0-6 months) Silicone Medium Feed Hole Teat and a sealing disc for leak-proof transportation. The bottles feature the original NUK orthodontic, asymmetrical shaped teat which is designed with a special, super soft zone which adapts perfectly to baby's palate, simulating breastfeeding as closely as possible - so true to nature that most babies hardly notice the difference. 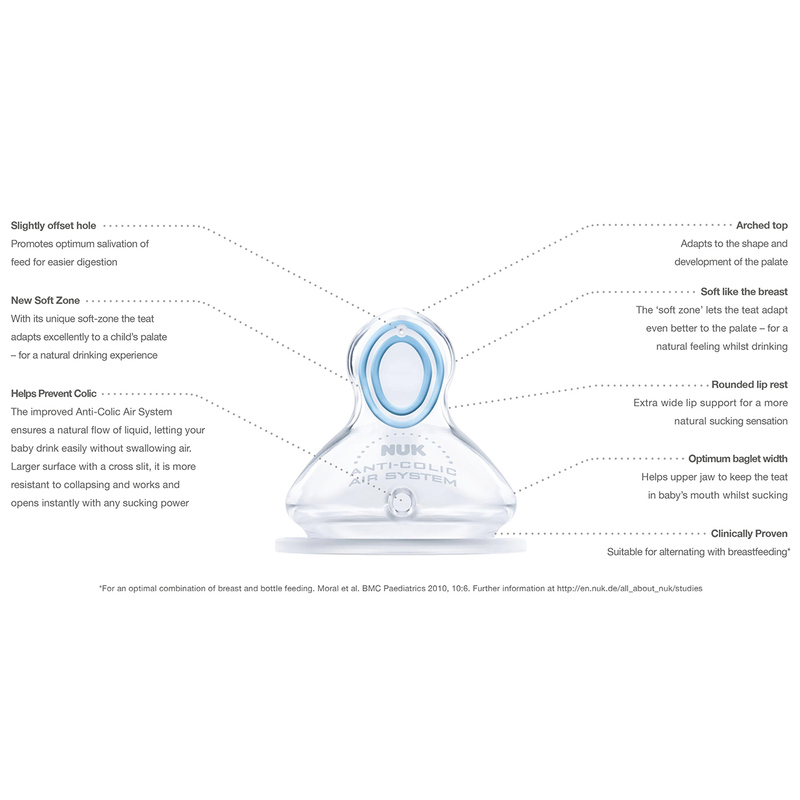 The teat has an extra wide lip support and the improved NUK Anti-Colic Air System minimises infant colic caused by the harmful swallowing of air, this also helps prevent the teat from collapsing. 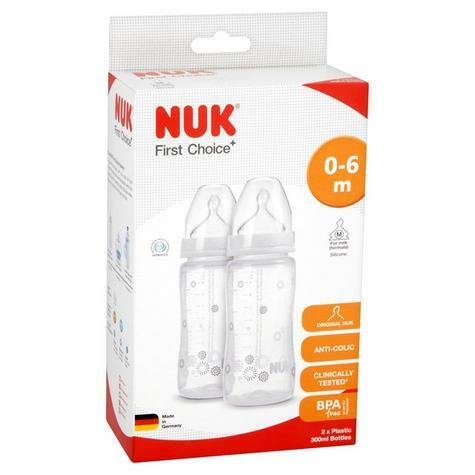 NUK First Choice+ Bottles are compatible with all NUK First Choice+ Teats. 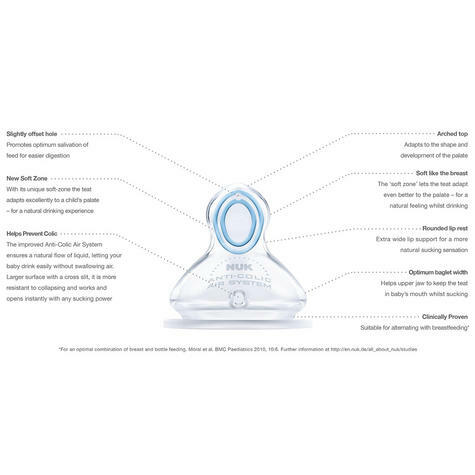 Sterilise using steam or cold water sterilisation (dishwasher and microwave sterilisation is not recommended as this can cause material damage). 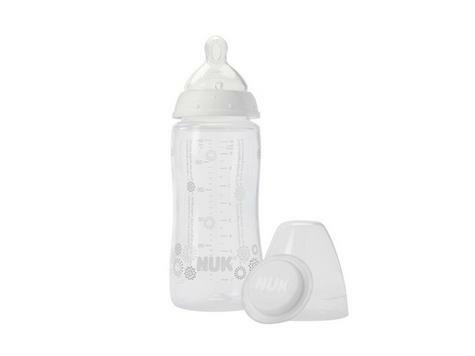 Forsafety and hygiene purposes we recommend that youreplaceteats after1-2 months of use or whenever they start to showsigns ofwear. Prior tosterilisation we recommend using the NUK BabyBottleCleanser,it’snatural formula removes dried on milkprotein, pulp andjuice residuesmore effectively than hot soapy wateralone. 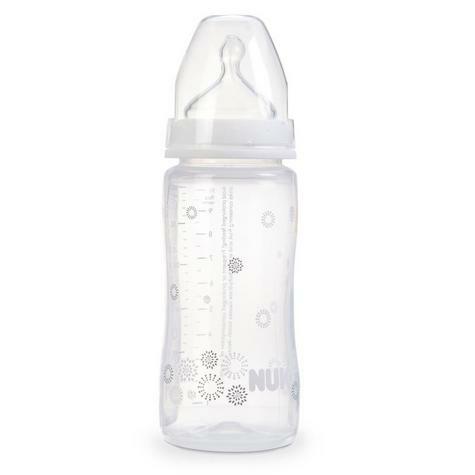 Tosterilise bottles andteats we recommend using steam, coldwatersterilisation or a NUK Steamor Microwave Steriliser. We donotrecommend dishwasher sterilisation asthis can cause material damage. * IMPORTANT NOTICE : NORETURNS POSSIBLE UNDER ANY CONDITION DUE TO THISITEM IS CLASSIFIED ASHYGIENE ITEM AND CAN NOT BE RESOLD AFTER USE.